When the colder temperatures set in, you’ll soon be looking for ways to keep your home warm and shield it against harsh winter elements. Before cranking up the heater and running the risk of increasing your energy bills, Merlin has a few tips to help homeowners keep their home warm this winter. Insulate your home – Up to 45 percent of home heat can be lost through ceilings and roofs. When choosing ceiling insulation be aware of the R-value of the insulation (scientific measure of how well an insulation material can stop heat transfer.) It’s also important to consider what type of roof space you have. For example, is your roof flat or pitched? How do you plan to use the space after insulation? e.g. for storage purposes. Insulate your garage – Keep your home warm and help retain heat for longer by insulating your attached garage. This will also help prevent any smells or gases from substances stored in the garage from entering your home. In addition, insulation can help block any loud noises from the garage such as the sound of the car starting, washing machines, DIY work etc. Upgrade ordinary glass windows – Ordinary windows leak energy and heat. Upgrade from ordinary glass to a product such as Low-E single glazed energy efficient glass. 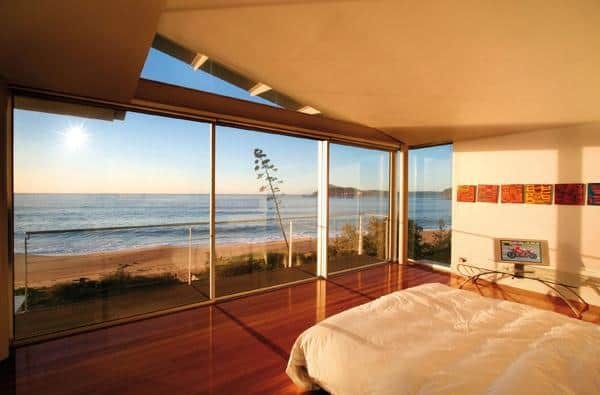 Good quality window frames are worth considering to help improve the insulation of your home. Energy efficient glass helps your home to stay cooler in summer, so it’s a year-round win. Eliminate drafts by sealing off all the gaps you can find. Check all windows and doors, including the garage, to ensure they are sealed and airtight. You can further eliminate unwelcome air leaks by taking simple steps such as using draught excluders on doors or blocking off any unused fireplaces to prevent warm air escaping. A simple way to keep your home warm, and safe, is to install an automatic remote controlled garage door opener. This allows you to control your garage door from the inside of your warm car avoiding any unnecessary standing in the cold or rain every time you get home. Homeowners don’t need to purchase a whole new door to enjoy the benefits of an automatic garage door. Merlin garage door openers are specifically designed to fit existing doors, including roller, sectional and tilt garage doors, removing any garage door replacement cost. Starting at just $699, including the opener and professional installation, Merlin offers an affordable solution for transforming your existing manual garage door into a remote controlled door. Regularly clean the gutters and down pipes around your home as heavy winter rain can lead to a quick build-up of excess water causing blockages. The build-up of water can leak into your property and inhibit your ability to keep your home warm. It also has the potential for damaging your home’s interior or causing dampness to develop. Make sure any drains around your property are unblocked so that water can drain away from your home. Trim back all trees that are in close proximity to your house as winter sometimes brings high winds which can strike down loose branches and unstable trees causing damage to your home. You might also like the article of cleaning and maintaining glass if you want easy tips for keeping your home in tip-top shape. Do yo have your own tips to keep your home warm in winter? Please share them with us.